Celebrate California style with this artisanal gift. They will be absolutely pleased by this signature wood tray packed with scrumptious goodies that can satisfy any wine lover. 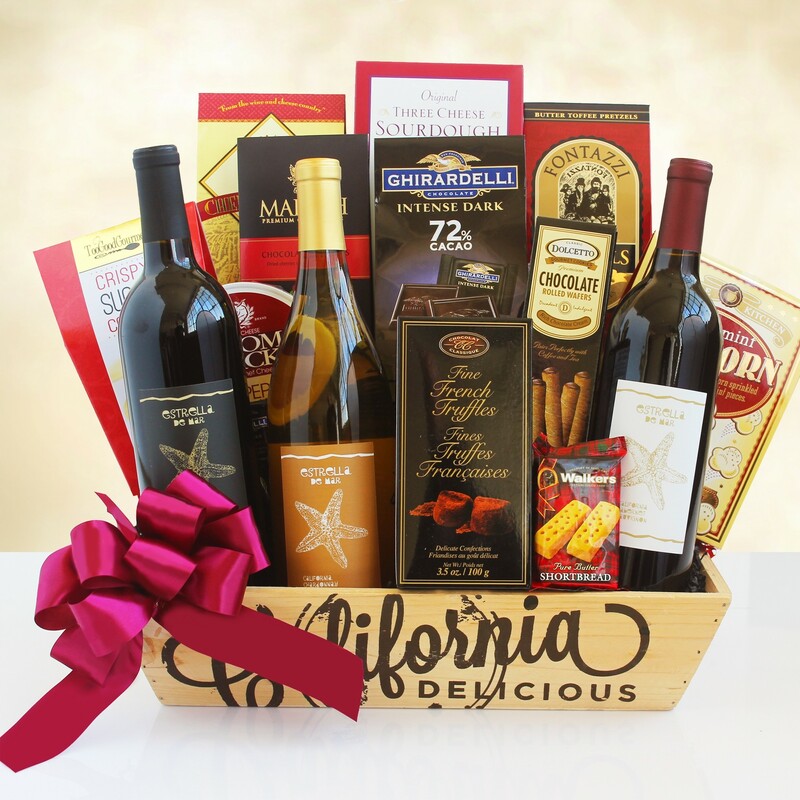 This spectacular wine gift crate including 3 bottles of wine, Ghirardelli chocolate, Sonoma Jacks cheese, and much more.